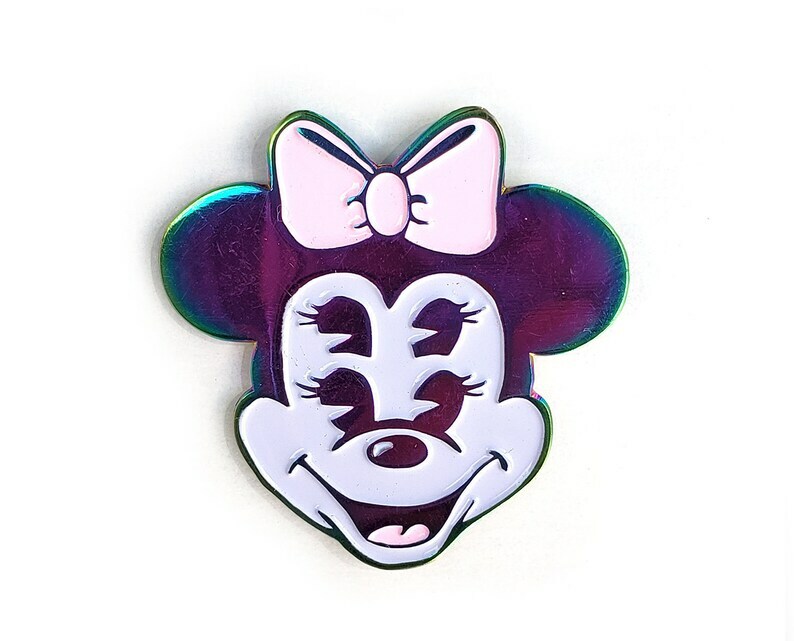 This creepy Minnee rainbow lapel pin is around 1.5" and is sure to make your grandma sad. 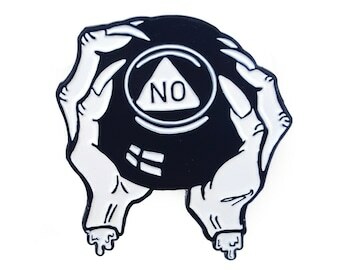 These pins take a completely different tone in the sunlight! 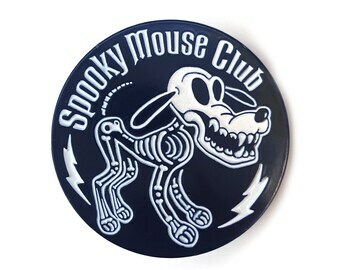 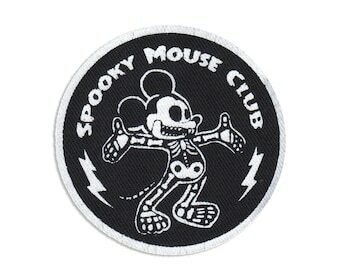 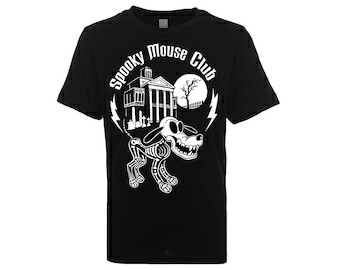 Get 'em for your all your disnee fiends, just in time for that DISNEY TRIP! 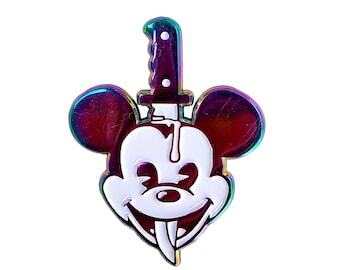 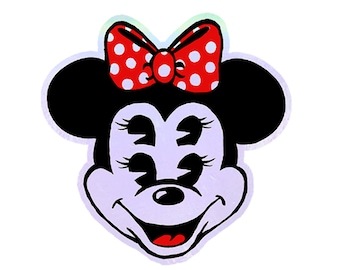 *pairs with creepy Mickee rainbow enamel pin! 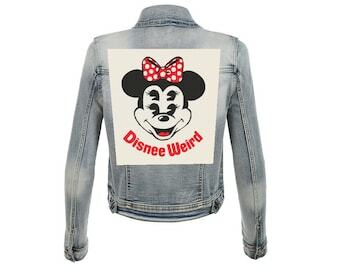 Couldn’t get over how cool & weird this design is had to get it!